The pizza chain's stunt has given it a quirky edge and brand exposure that is hard to come by. 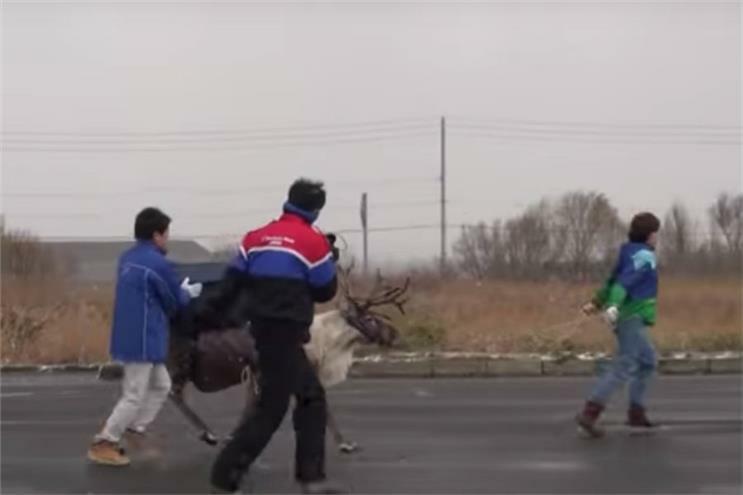 Perhaps not surprisingly, Domino’s has abandoned its recently announced plan to employ reindeer to deliver pizza in the harsh winter in Hokkaido, northern Japan. The animals apparently proved too strong-willed to train, charging past customers’ houses into fields, according to a release from the pizza chain. The pizzas also took a beating, being thrown about while on the reindeers’ backs, Domino’s said. As a substitute, the company now plans to use a fleet of scooters decorated to look like reindeer. It was of course highly doubtful that Domino’s was ever really going to use the reindeer. But the company has made no indication that its initial announcement and intention was anything but serious. Either way, it has succeeded in making pizza, and most importantly its own brand, considerably more exciting than usual. Commenting on the stunt, Steve Martin, founder and director of Eat Creative, an independent agency based in Tokyo, said: "We think it’s great…There’s this ostensibly serious approach to something that could never possibly work. There have been debates in our office: ‘They should do it like this,’ and ‘Bring in some professionals from Greenland to train them properly’. It’s very difficult to buy that kind of exposure, and I think it makes people feel positive towards the brand." Martin suggested the hijinks could become a fixture and distinguishing feature for Domino’s in future. "We’d like to see them try it again next year with some new techniques," he said. "They would always fail of course, but it could become a tradition: ‘What will Domino’s try this year?’"